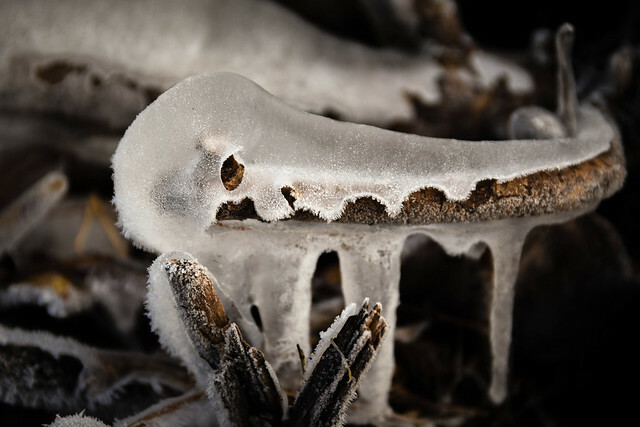 Melting | Flickr - Photo Sharing! We're at the tail end of a cold snap in Portland. Still cold but no wind today... so, Isaac and I went down to the Columbia River to bust up some icicles. loloboho, Casey N. Garner, and 12 other people added this photo to their favorites. Cold in Troutdale? I like the fuzzy ice. Cool photo (no pun). Robert Since the east wind has mellowed it's downright balmy! I just wish I were far enough away from the city to try for some pictures of the Milky Way. looks like a prehistoric animal ! Holy mackeral! Looks like a friendly snake coated with icing! Love it!